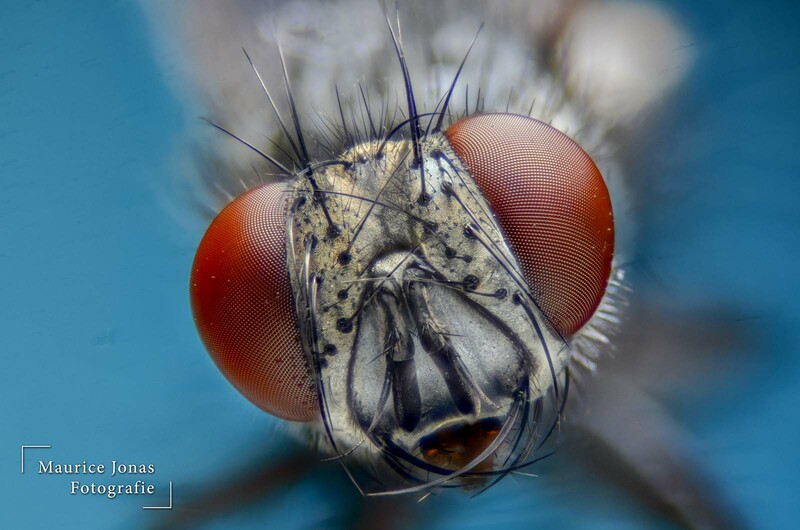 Welcome to the website extreme-macro.nl of photographer Maurice Jonas. Macro is the photographing of insects, flowers and objects at a short distance, with the goal to photograph them as big and detailed as possible. With macro we are talking about a ratio of 1:1, which means your subject is as large on your camera’s sensor as it is in real life. With extreme macro we go a bit further. With the help of conversion objectives, extension tubes en microsopic objectives we can achieve a magnification that is bigger than 1:1, which results in being able to get even closer on your subject and photograph more details. With this website I want to give you an insight into the world of macro and extreme macro and I want to help starting macro and extreme macro photographers get on their way. This website will show you with examples and pictures from my setups and results.